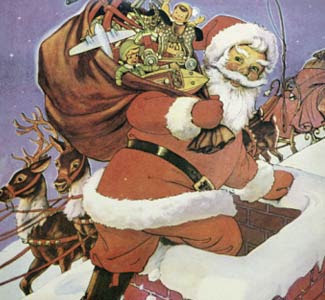 The jolly round man in the red suit goes by many names around the world. Yet his mission is universal: to spread holiday cheer to all. 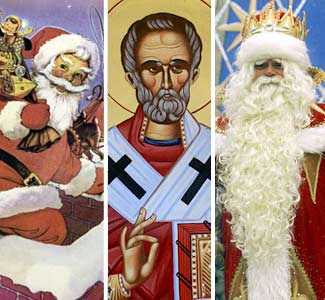 Let’s take a tour through the many names and faces of Santa. In the United States, Santa Claus’ modern-day look was solidified by this company. 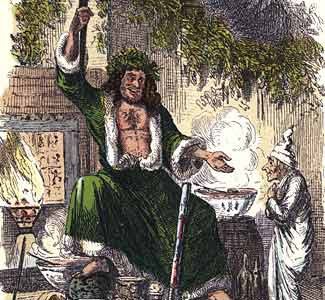 Inspired by this 1822 poem this Michigan-born illustrator created Santa Claus, replacing Thomas Nast’s caricatures. 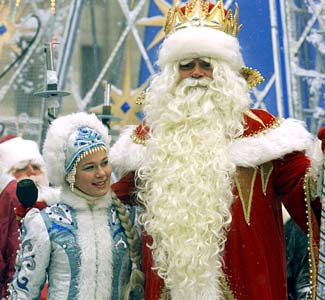 In this well-known holiday movie, a young girl sings about Sinterklaas with this man . 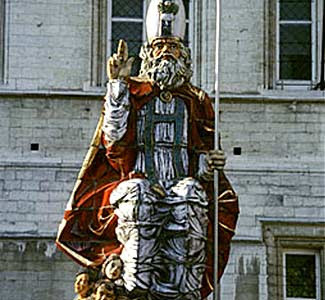 In his native country, Sinterklaas is celebrated on this special day. 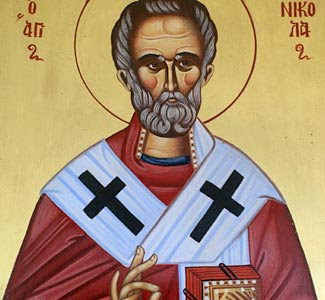 Many trace Santa’s origins to Saint Nicholas, born in this century in what is modern-day Turkey. He went on to become a bishop. 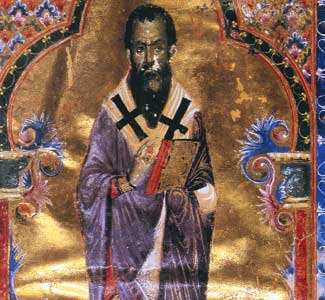 After his death, Nicholas became the patron saint of these people. 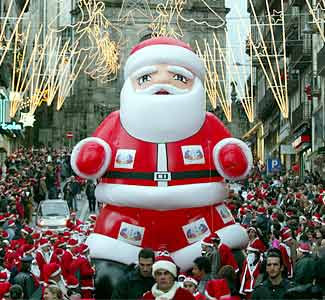 Recently, Turkey asked Italy to do this for St. Nick. In these Eastern European cultures, Grandfather Frost is Santa’s equivalent. He’s also known by this name and brings gifts to children during these celebrations. 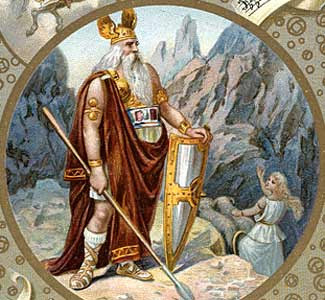 In ancient mythology, Odin holds many similarities to the modern-day Santa. He rides an 8-legged horse that, according to this 13th century text, has this magical ability. 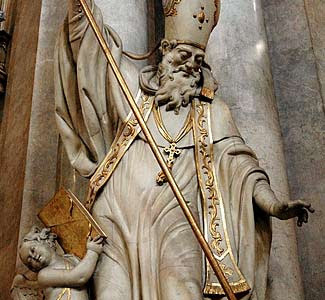 In the East, Santa often means Basil of Caesarea, or St. Basil. He was a Christian bishop in this city in the former Asia Minor. On his feast day, families and friends in this country celebrate by serving this food, exchanging gifts and singing holiday songs. In this country, Christians celebrate the holiday and decorate with red pagodas, paper lanterns and flowers. Christmas Old Man leaves treats for children in these items. In this northern European region, the Santa legend is intertwined with the Nordic folklore of Tomte, evolving into a mythological creature. In a 19th century poem, the Tomte takes on modern-day flair as depicted in Jenny Nystrom’s famous image. 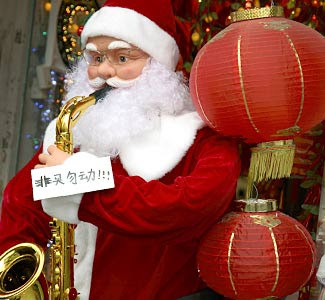 In this South European nation , Santa is called Pai Natal, but children don’t have to wait for the jolly guy since gifts are given at this time. 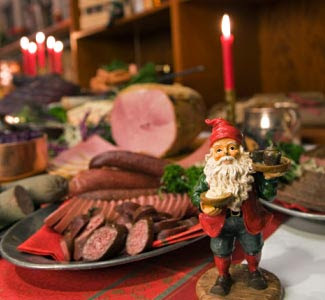 With all the presents opened, families and friends feast on this signature food. 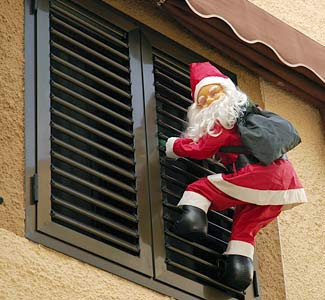 In early December, this nation’s children put their footwear on windowsills for Mikulas, with slight variations of the Santa-like tradition in this nearby country. Most children receive a combination of sweets and this unfortunate item. Here, the Christmas season starts with this feast. Santa is called Papa Noel and children leave these items under the Christmas tree. But they have a second opportunity to receive gifts from these guys. Papa Noel is also the Santa of choice in these countries. 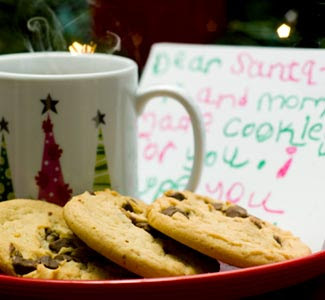 Just as Santa has many names and traditions around the world, children leave him many things to eat during his nocturnal voyage.